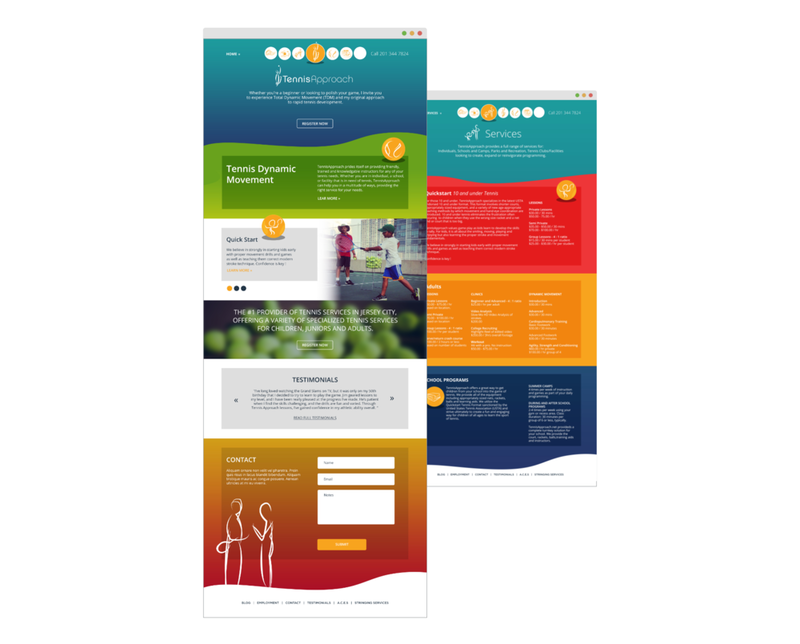 TennisApproach, wanted a redesign of their website that caters to hundreds of parents of tennis players each year. The academy offers different programs: school programs, summer camps, free clinics, weekly programs and their non-profit organization. TennisApproach wanted a fresh design that conveyed their dynamic approach to their programs. A new color palette was also introduced to differentiate the various programs and pages throughout the site.